Author Mark Byford’s excellent new book ‘The Annunciation: A Pilgrim’s Quest’ published by Winchester University Press in 2018, features the last interview with Chris Gollon about his religious works. 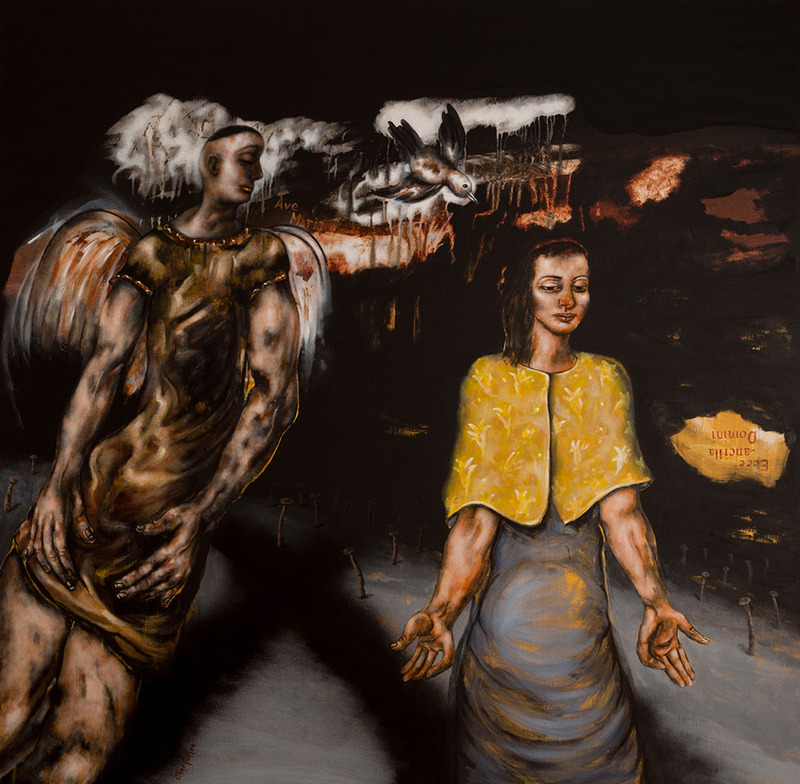 It features a fascinating in-depth interview and images of Gollon’s painting Annunciation (pictured: 60″ x 60″, 153 x 153 cm, acrylic on canvas 2016). The book also has interviews with Paul McCartney, Grayson Perry and Rowan Williams among others. To purchase, click: Amazon.